Last updated by suzlipman at May 4, 2016 . Pinterest is the fastest growing social media network, with 23 million users worldwide. Pinterest’s referral traffic beats Google+, YouTube and LinkedIn — combined. In addition, it’s full of beautiful and inspiring graphics and it’s fun to use. If you’re not using Pinterest for your business, you should be. Don’t know where to start? Melissa Taylor’s extremely thorough Pinterest Savvy: How I Got 1 Million+ Followers (Strategies, Plans, and Tips to Grow Your Business with Pinterest) will help. Taylor, who blogs at Imagination Soup, has a whopping 1 million-plus Pinterest followers. She enjoys the platform immensely and shares her wisdom and tips throughout her book, which is aimed at all levels of Pinterest users, from complete novices to the more advanced. Did I mention that Pinterest Savvy is exceedingly thorough? Pinterest Savvy covers everything, from the basics of pinning and organizing boards, to etiquette and suggested sources. 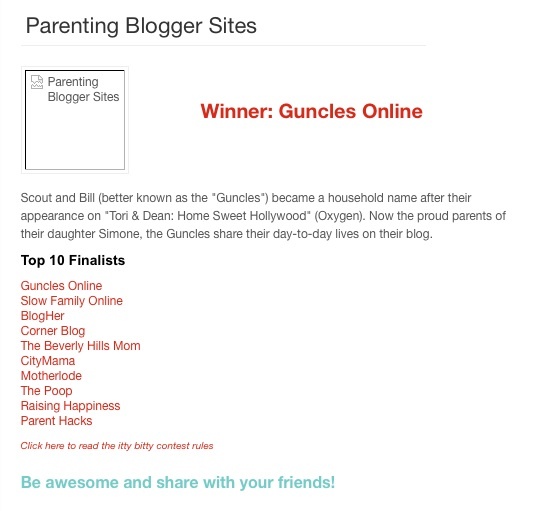 Pinterest Savvy really gets juicy where Melissa shares some of the practices that have earned her over 1 million followers, like tips for timing pins, vetting pins and writing descriptions. And she outlines an all-important aspect that many people neglect, on all social media platforms — how to form community. She also lists lots of great pinners who you will want to follow immediately, too. While Pinterest Savvy is complete, the information is presented in sections that are easy to digest and understand. The layout and graphics are as visual and pleasing as the best Pinterest boards. Anyone intent on using Pinterest to grow a following will benefit from Pinterest Savvy. Parent and play advocate Mike Lanza is not one to move into a new neighborhood and hope for the best for his kids. The author of the new book Playborhood describes in great detail his philosophy and the elbow-grease steps he undertook to create a life for his kids, and those who live in proximity, that more closely mirrors the kind of playful, neighborhood-based childhood kids had 30-40 years ago than the sedentary, living-room-based one that many have today. Lanza accomplishes this with great humor and plenty of vivid examples of people reclaiming their community spaces for play and gathering, from inner city Bronx, to an apartment-complex courtyard in CA, to a formerly faceless intersection in Portland, OR. As such, his can-do spirit is not only infectious, but is backed up with specific how-tos, so a reader could turn a driveway into a giant game board, or a yard into a nature or other playscape where kids will want to come play. A self-proclaimed neighborhood play evangelist, Lanza and his wife and three sons are walking the walk (and playing the play), and clearly influencing others to come along and have fun. Playborhood also explores the larger issues of what makes a community work, from home and neighborhood design (think front porches and calm streets, for starters) to human behavior, such as having block parties and community dinners, and giving kids a little room to roam. Lanza has created a terrific and heartfelt blueprint that should result in safer neighborhoods, more joyous and cohesive families and communities and, ultimately, more kids getting out to play. If you have enjoyed a walk around your neighborhood, and certainly if you have participated in civic discussions about the way your neighborhood should grow and be planned, then there is a good chance that you, or your process, were influenced by Jane Jacobs. Jane Jacobs lived and worked in New York City, and then Toronto. In her work, writing and life, she championed the idea of community building from the ground-up — often literally. Her ideas, which are collected in her seminal The Death and Life of Great American Cities, among other books, influenced methods that many architects, engineers and urban planners employ today when they plan and build to create a greater sense of community. Sidewalks for walking, parks and other spaces for gathering, promotion of local and local-serving businesses, and scales that encourage people to populate and enjoy their neighborhoods are some of the ideas Jacobs prescribed, even though she had no formal architectural or planning education. (She claimed that her education arose from reporting on and experiencing cities.) She also rallied and helped organize her own neighbors in New York’s Greenwich Village, SoHo and Little Italy when those wonderful and unique neighborhoods were threatened with intense development, including the proposed Lower Manhattan Expressway, in the early 1960s. Jane Jacobs died in 2006 at the age of 89. Now, people all over the U.S. are saluting Jane Jacobs by participating in local Jane Jacobs Walks the weekend of May 5-6 and throughout the year. The walks are the brainchild of a group of people including representatives from the University of Utah’s Center for the Living City, a nonprofit collaboration created with Jane Jacobs and based on her work, and that group’s sister organization in Toronto, The Centre for City Ecology. Stephen Goldsmith, Professor for Campus Sustainability at the University of Utah, and director of the University’s Center for the Living City, and his team are heavily involved in the work. Anyone who wishes to celebrate Jane Jacobs’ life and legacy, and in turn their own neighborhood, is invited to join or host a Jane Jacobs Walk on May 5-6 and throughout the year. The walks don’t have to be formal or rigid in any way. The idea is that people get outside and, by doing so, participate in the lives of their communities, simultaneously getting to know them and adding to their richness. The site offers opportunities to find a walk near you, as well as lots of information. Organizers hope that, in the spirit of Jane Jacobs, participants will “walk, observe, connect and share,” thus participating in moving conversations about their communities. Photo of Jane Jacobs by Jane Jacobs Walk. Map of Lower Manhattan Expressway by Wikipedia. With all this attention to green holiday gifts, it seemed time to address the wrapping. The practice of wrapping gifts in paper began modestly enough, as people around the world utilized cloth, brown paper, even wallpaper, to disguise their gifts. Hallmark is credited with creating the current gift-wrap industry, which earth911 tells us accounts for as much as half of the 85 million tons of paper products Americans consume every year. Wrapping paper and shopping bags alone account for about 4 million tons of trash annually in the U.S., and the vast majority of that is generated during the holiday season. In addition, they note that the act of recycling wrapping paper presents more challenges than we might think. Now, the good news: There are lots of alternative wrapping ideas worth exploring, many of which are as creative and fun (some perhaps more so) than traditional wrapping. 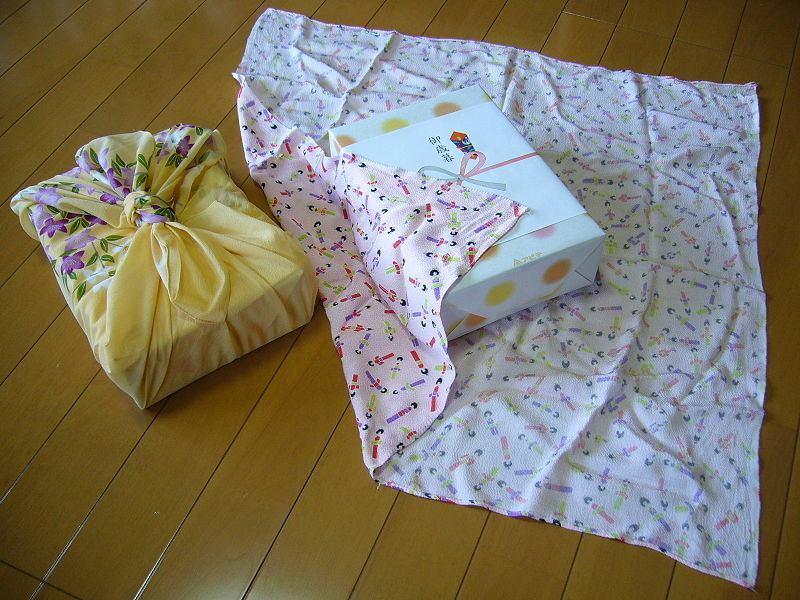 Furoshiki — This long-time Japanese practice of wrapping gifts in cloths. 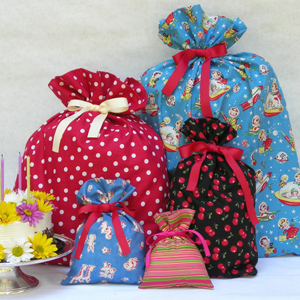 Presents are wrapped in lovely fabrics, ranging from traditional Japanese fabrics and designs to silk, cotton and designs that are modern and retro, all of which can be used over and over. The wrappings and decorations themselves can also be quite elaborate and pretty. This method requires no cutting, only wrapping and knotting, so that it is also practical and sturdy. You may have scrap fabric you can wrap with at home. This Furoshiki site has lots of great fabrics to choose from, in a variety of prices, including fabrics by San Francisco design studio, Chewing the Cud. The Fabric Society also offers wonderful inspiration, tips and fabric for wrapping with furoshiki. Clothing – This is really thinking outside the box — why not wrap a present in a fun recycled shirt? Recycled Paper Items – Fun wrappings can be made from old paper maps, Sunday comic pages, sheet music or tissue sewing patterns. Feeling especially artistic? Decorate paper bags, or easel or other artist paper that you already have on hand. Color, paint, stamp, sticker, create collages from other papers or magazine pictures, dip old cookie cutters in paint to create a unique stamp, or create a decorative paint roller: Glue yarn or string onto a coffee or other can in striped or zig-zag patterns, let dry, paint the string, and roll the wet-painted can onto the paper. Reusable Bags – If you don’t want to go the wrapping route, there’s still time in this holiday season to buy (or perhaps even make) reusable bags. These fabric bags from Lucky Crow are super-cute and come in a wide variety of styles and sizes. They really solve the problem of wanting to use recyclable wrapping materials, without going the route of a grocery-supplied bag. They work for party favors, too. The Portland, OR-based company also sells its bags in stores. 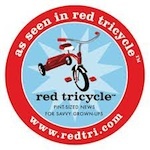 Check their web site for details. Just as with the wrapping, there’s no need to buy new gift tags. Make your own by cutting rectangles of construction paper and folding them in half. Decorate with paint, stickers, stamps, drawings, glitter, or other items you have on hand. You can also cut up from recycled holiday cards from years past. Tape to the gift or punch a small hole in one corner and tie on with ribbon. Tulips are in the Ground! My family and I love tulip-planting time. We have many memories of going out on bright and chilly late November or early December days, digging into the dirt and placing our bulbs into the ground, along with our visions of colorful and elegant tulips coming up in the spring. The big bulbs (and, of course, the gorgeous flowers) make tulips especially fun and easy for kids to plant and then watch emerge from the ground, sometimes among the first flowers to do so after the winter. Kids usually enjoy learning that the bulbs have most of the nutrients inside to create a flower (but still like a little boost at planting time – we use an organic bulb food.) This makes bulbs a great item to plant in school yards or public spaces because they don’t need a lot of watering or care while they’re growing. Because we live in Sunset Magazine’s gardening zone 17 (USDA Zone 9), we refrigerate our bulbs for 6 weeks to simulate a Northern winter. And, because we haven’t had much success preserving our tulips from year to year (see the next paragraph for ideas about that), we always have some new tulips to try. Of course that’s a big part of the fun – poring over web sites and practically drooling over the local nursery displays. The chosen bulbs then go into the fridge for their hibernation. And, on an invariably cold, crisp day — in 6″ deep holes (aided by a simple bulb digger) and with a little organic fertilizer (the white stuff you see) — into the ground they go. We used sticks to mark different color bulbs while we were planning our planter boxes. Because tulip bulbs are generally indicated to bloom early, mid or late spring, you may want to choose bulbs that bloom at about the same time (which we did, because we have a small planting area) or choose bulbs for continuous blooms. Heights are also estimated so that you can plant taller ones in the back of a display. Tulips tend to look best grouped, rather than in a line. Want to know more about bulbs and planting? 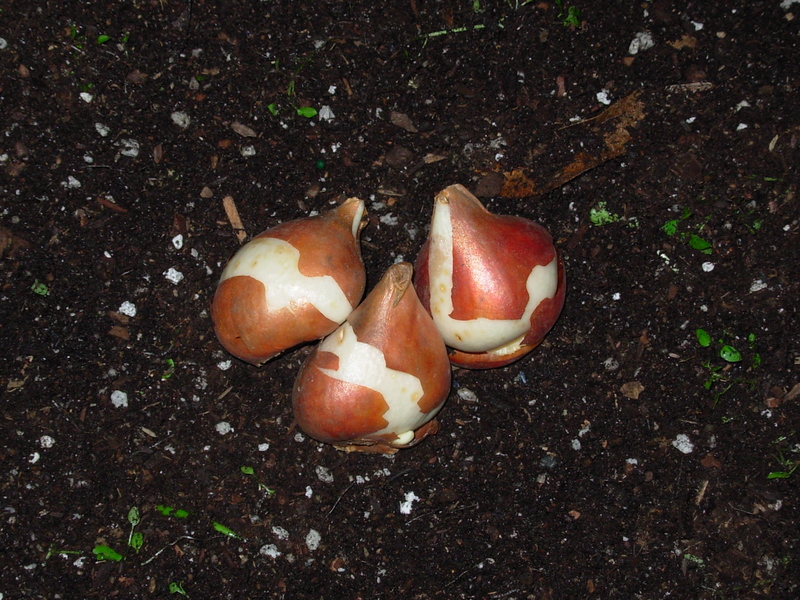 The Blooming Bulb site sells bulbs and offers more detailed tulip planting and storing instructions. The Plant Expert is a fabulous resource about choosing, planting, storing and growing bulbs and all kinds of plants. Another is Doug Green’s Flower Garden Bulbs, which sells bulbs as well. Colorblends (which offers more great planting information), Brent and Becky’s Bulbs and K. VanBourgondien and Sons also sell wonderful selections of bulbs throughout the year by mail order. I also recently found an article about storing bulbs for use the next year, which the writer says is a good idea in any garden where the bulbs will be planted over, not just our warm-winter gardens. I think we will try these new techniques this year! So, what did we plant? Of our four different tulips, one was brought back from two years ago, the lovely Daydream. A Darwin hybrid, the Daydream is a classically shaped tulips in a soft apricot color, with with a little color variation for interest. The flower height ranges from 20”-24”. I found the stem to be nice and sturdy, and the bulb a pleasing size and perfect color. Some of the flowers tended toward pale yellow tones. Daydreams open in the sun to reveal a black center. Darwin Hybrids were originally cultivated by crossing single late Darwin and Cottage tulips with early Fosteriana tulips to produce beautiful results. Salmon Impression is another in the sherbet-like color range that I like. A Darwin Hybrid, like the Daydream, we’re told the Salmon Impression is especially sturdy and does well in various climates and conditions, as well as producing large, pretty flowers on strong stems that reach 20-24″. I think a light or dark accent color is nice among the tulips. This year we went for the light and creamy colored Ivory Floradale. It’s another Darwin Hybrid (I guess we know what we like) and is said to grow to 20-22″ on a strong stem. We usually try to plant one especially exotic tulip – one with frilly edges, or flames of color shooting through it, or a Viridiflora, a tulip type that offers streaks of stem-like green along its flower. This year’s is the China Town. Writes Bissett Nursery: “Flaring petals of pink, edged in cream streaked with a moss green. Artistic and unusual in design. China Town also has especially attractive foliage – dark green leaves with white borders.” This flower is said to grow 14-20″ and is in its own pot in a very visible spot.